Yesterday, I accomplished a task that’s been on my to-do list for ages. I desperately needed to clean my shoes. I’ve actually never cleaned shoes before. Perhaps it’s because most adolescents aren’t walking around in nice, leather shoes. However, now I have to face these things. I spent Saturday in my oxfords, and I was embarrassed at how disgustingly dirty they were. After trekking through city streets and all over Europe, they were looking a little… grimy. My first challenge was acquiring the right cleaning products. My oxfords are suede (as well as one pair of my heels). Apparently leather cleaner and suede cleaner are two different things. As luck would have it, Target had everything I needed. I bought suede cleaner, suede protector, and leather cleaner for a grand total of $25. To clean suede, you begin by using the brush cap to remove any dirt from the shoes. 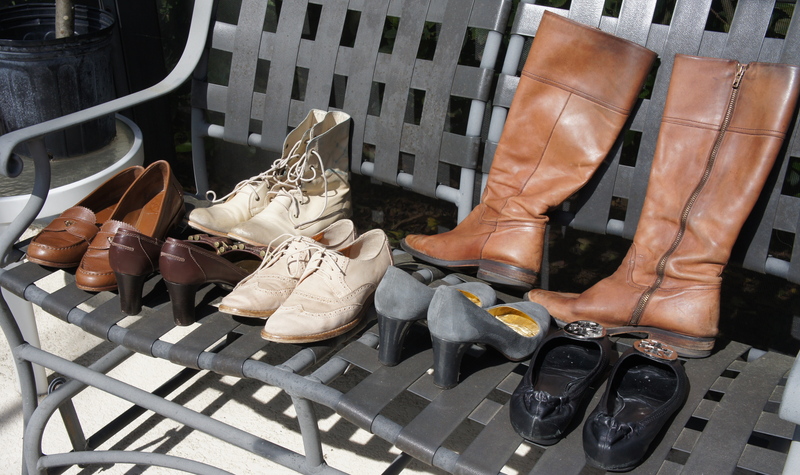 Afterwards, (in a well ventilated area, aka outdoors) spray a shoe with cleaner and brush. Repeat. Once the shoes have dried, spray them with protector. My oxfords and heels looks SO much better! Of course, they’ll never look like brand new but they look like nicely, aged shoes. Leather cleaning is a bit different. 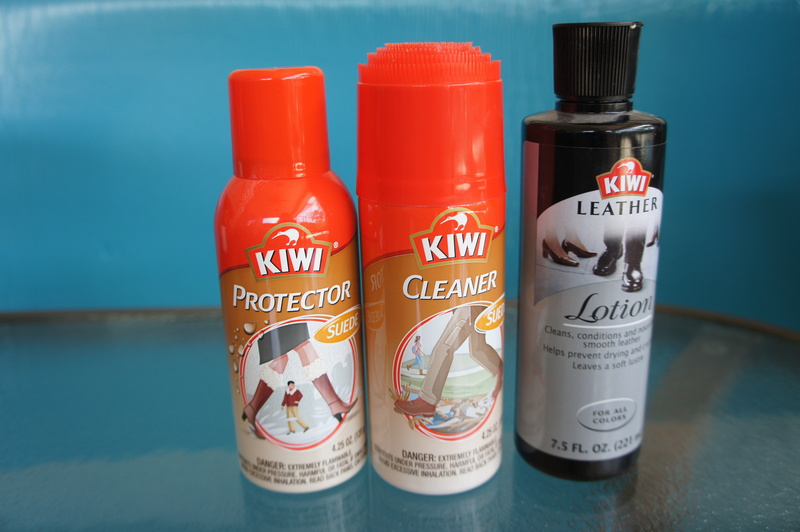 Apply a small amount of leather cleaner to a cloth and rub into the leather. Repeat until the entire shoe is done. Once dry, buff with a soft brush or cloth. My biggest challenge was my J. Crew Riding Boots. I’ve had these for about 4 years and they’ve weathered many a winter. To say they were coated in salt and city would be an understatement. Just look how muted the color was. I can’t even begin to describe the change in their appearance and feel. It’s amazing. All my leather shoes just soaked up the cleaner and look much more polished. My Tory Burch Revas look like new again. My work heels are beautiful. This is how I became addicted to cleaning shoes. I highly recommend trying it. It’s so rewarding! Your shoes look amazing!!!! I never really thought to clean shoes, I just buy new ones, pathetic.